So I have had no luck with the Chatelaine challenges, meaning I haven’t won 🙂 Now I’m just so obsessed that I just keep on baking and baking and baking and thinking what can I do to get first place. It’s like when you have a thought of this one expensive purse you want to have and you will do absolutely anything to get it. That´s the feeling! Since I’m not a big fan of pumpkins, I wanted to mix the pumpkin puree with some other fruit or vegetable so it wouldn’t be so pumpkiny. I had couple very ripe bananas at home so I started to look for a banana pumpkin pie recipe. Success it was! 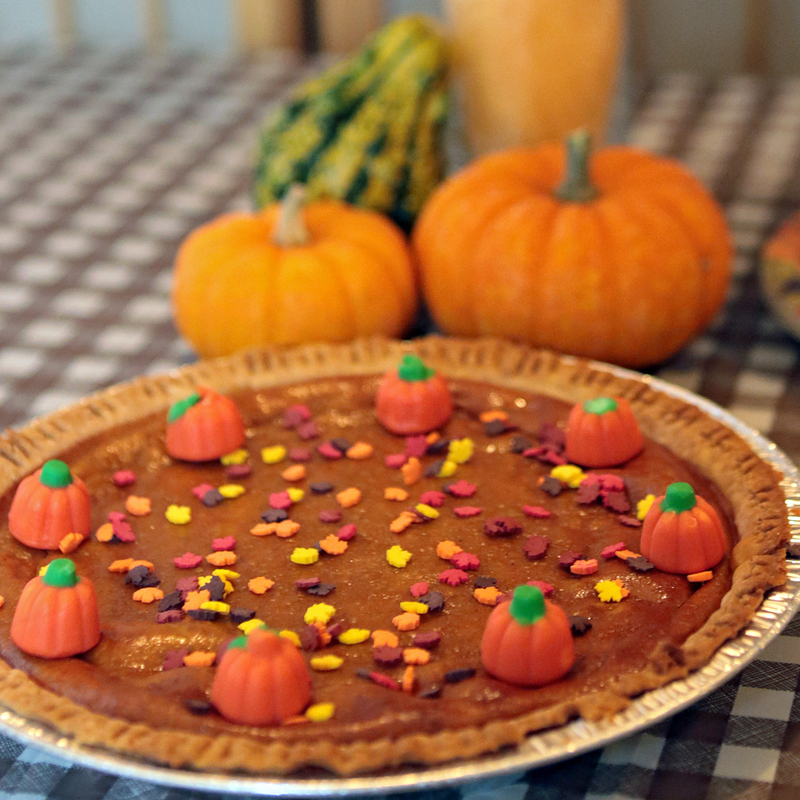 This is my first time to bake a pumpkin pie! 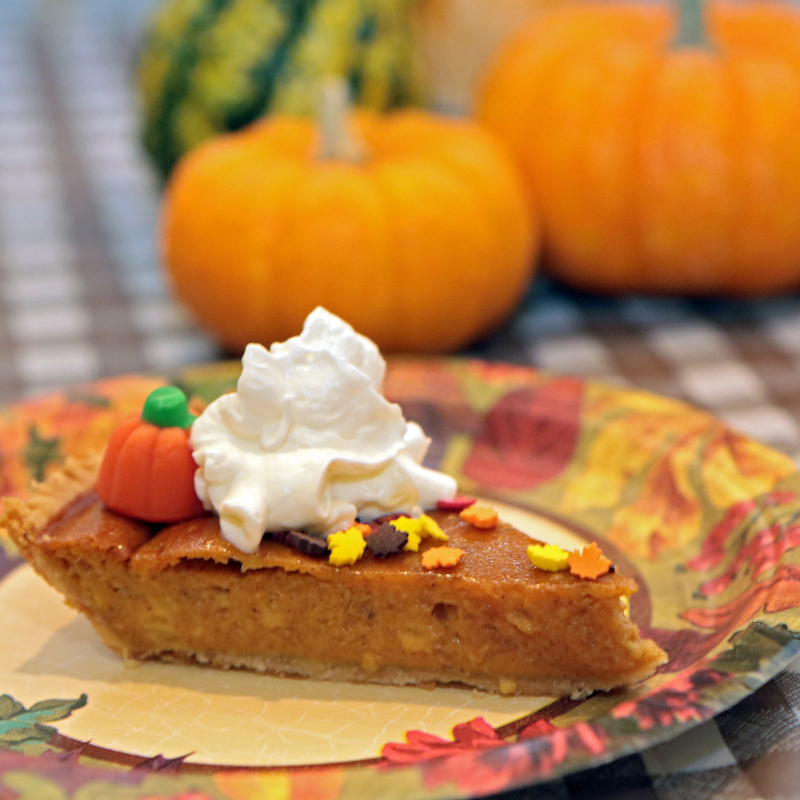 I knew few weeks ago that I was going to make it for thanksgiving and when the Chatelaine cooking club announced the next challenge – pumpkin pie, I was very very happy! I have to admit I cheated a little bit, all of the decorations (leaves, mini pumpkins) are not made by me, although when I was at the Bulk Barn I did consider to make them myself but then saw the ones that were already made, I chose the easy way out! The pie itself was very very yummy! I would do it again for sure! HAPPY THANSGIVING!!!! Gobble Gobble Gobble. ← Did Fall warn you yet?